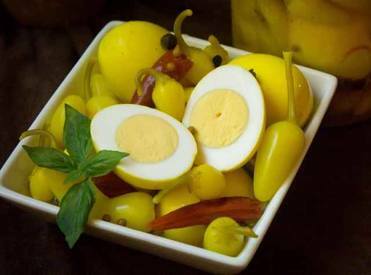 These simple to make pickled eggs are a great snack along with pretzels. For hotter eggs pierce the yellow chili peppers with a sharp knife and/or add other hot peppers! I love the spicy kick and the flavor that the eggs had. I could totally see using these in a salad (though they are great eaten on their own).